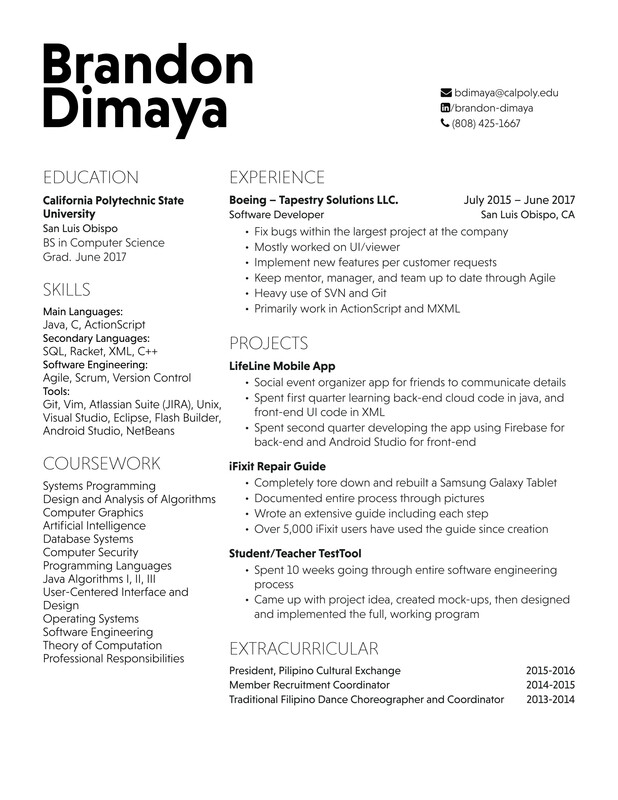 Recently graduated from Cal Poly San Luis Obispo, looking to get my foot in the door in the field of Software Engineering and Development. Fixed bugs and implemented customer requests on a team of about fifteen software developers. All work was front-end, UI-related code. ICODES SLP by Brandon D.
My senior project at Cal Poly. Designed and implemented a working social media mobile app using Android Studio and Google Firebase. LifeLine Senior Project by Brandon D.